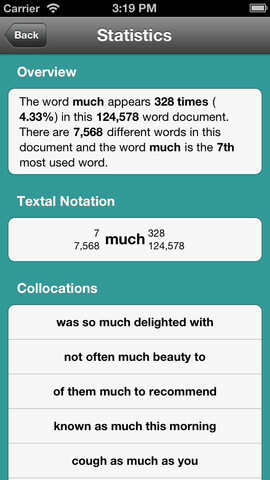 Textal (iPhone/iPad) - An Excellent Mobile App for Textual Analysis ~ Android Forever! You may have read recently how the author of the Harry Potter novels, K. J. Rowling, was outed as the creator of a new novel, The Cuckoo's Calling, supposedly written by Robert Galbraith. This neat trick was performed by using textual analysis. Now, you may not be in the business of outing famous authors, but there are many excellent uses for textual analysis you may not have thought of, and many you may use regularly in your work. 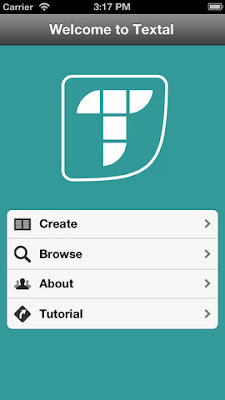 Either way, here's an iOS app that will turn you on to a great new way of understanding hidden trends and connections in various forms of text. 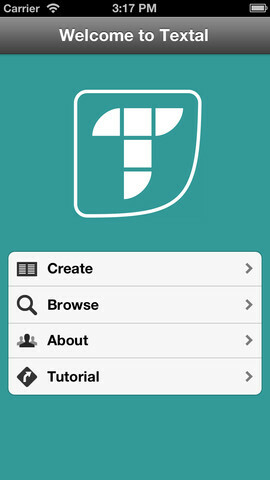 The app is called Textal and is available for free in the Apple App Store. Developer Quote: "Textal is an innovative, free app that allows you to create clickable wordclouds from a website, tweet stream, or document, to explore the relationships between words in the text." Educators, social networkers and avid readers consume and digest words eagerly on a daily basis. While some readers simply accept their printed material at face value, others want to delve deeply into the meaning of what they are reading. You can easily sift through words in text to see what's really important to the author when you use Textal. This literary, analytical tool uses wordclouds to show the importance of words in any given text. In explanation, wordclouds are an arrangement of words in a loosely shaped cloud formation where the most relevant or important words are printed larger than the others. Once wordclouds are produced by you simply entering specific words and a source, you'll appreciate Textal's quick and clever analysis, or simply sate your curiosity. Share your new found information in a variety of ways with your friends. Open their eyes to uncover the gist of an article with a deeper understanding. - Explore your text: click on individual words in the wordcloud to view statistics. How often is the word used? What words appear on either side of your chosen word? What common pairs exist? Analyze the themes which emerge through visualization and text analysis! - Export your analysis for use in research, reports, or writing. 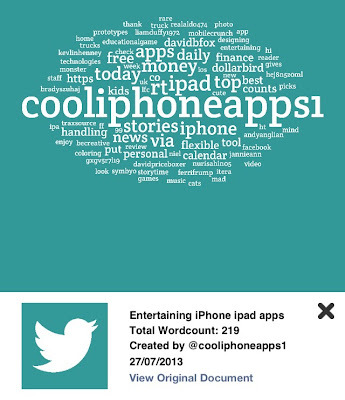 - Share you Textal via twitter, and view your wordclouds online. - Browse the Textals made by others. What texts are trending? - Explore Textals of classic literature. How do famous texts use language? - Use Textal’s advanced features, including stop word lists in various languages and frequency graphs, to explore and analyze the words in your chosen texts further. 1. Tap the Create button. 2. Enter the words you wish researched in the Title field. 3. Choose a website, book, connect to your twitter stream, search for a hashtag, or copy and paste in text in the Choose Your Text Source. 4. Perhaps you'd rather use a taboo word list. After all there is no need to include simple article words in your text analysis - for example: the, is, a and other such words. If so, tap your chosen language in the Select Stop Word List field. 5. Select the size of your text cloud: 50, 100, 150, 200, or 250 words, and choose the color and font of your text cloud. 6. Tap Create and wait just a few seconds until your wordcloud analysis appears! If you're wondering just how Textal can benefit you in your daily life, take a peek at some ideas below. 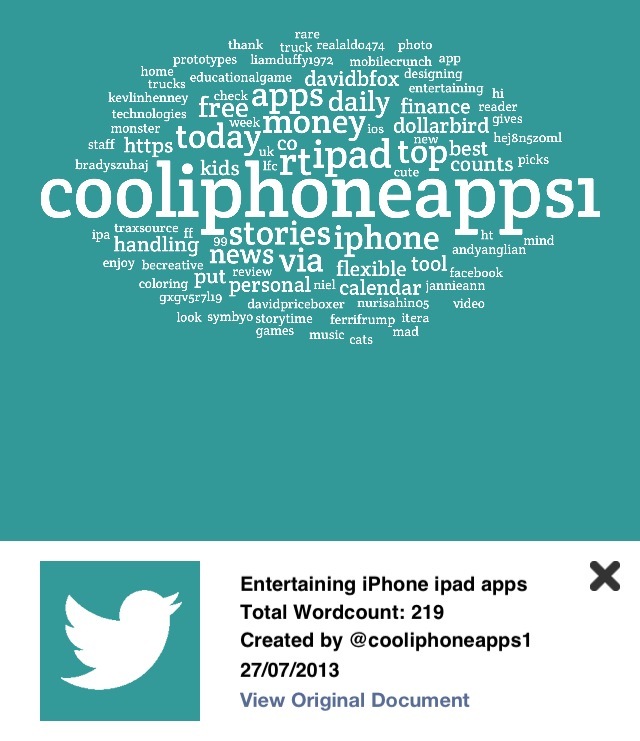 I did an analysis of my Twitter stream, @cooliphoneapps1, and was amazed to see how much I could learn about its content! Textal scraped all of the content of the stream, and produced a cool word cloud showing the 150 most commonly appearing words used on the entire site. The more often the word was used, the bigger it appeared in the word cloud. Then I clicked on different ones to get more information about its usage, like how many times it was used, what other words was it paired with, and all kinds of other useful stuff. And that's not all! There are also the awesome sharing and social networking possibilities. You can easily share your findings, and browse the findings of other people! Now that's what I call some interesting reading! With Textal you can easily analyze word usage and associations in books, web sites or even Twitter streams (especially intriguing!) All you have to do is enter the title of a book, the url of a web site, or a hashtag, and a word or phrase you want to analyze. Textal will do a powerful analysis and present you with a clickable word cloud. Click on any word in the cloud and right away you'll get all kids of interesting and useful statistics, connections, associations and much more. They say that the best products are the ones you didn't even know you needed until they came along. This may be one of those. 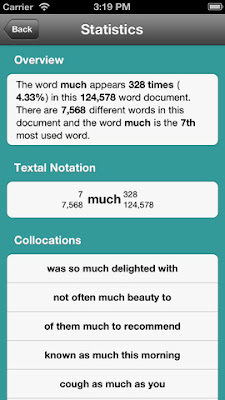 You can probably find tons of great uses for Textal you never thought of before; or you may be a student and need a great, free research tool to help you with your studies. 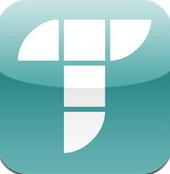 In either case, you'll find Textal to be an excellent app to add to your iOS device.